Sky is a furniture set that fits perfectly into any interior design. 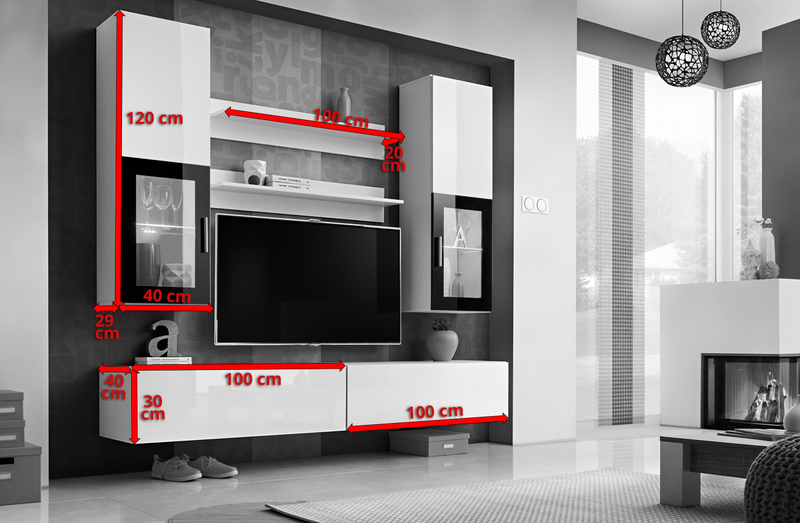 Modern, hung on the wall TV Cabinets will give your room a spacious feel. Stylish cabinets with glass fronts and LED lights, highlight the character of each item placed inside them. This set comprises of: 2 TV wall cabinets with drop down doors (2 open compartments inside), 2 wall units and 2 shelves.